Featuring a European programme with music from France, Spain and Italy. 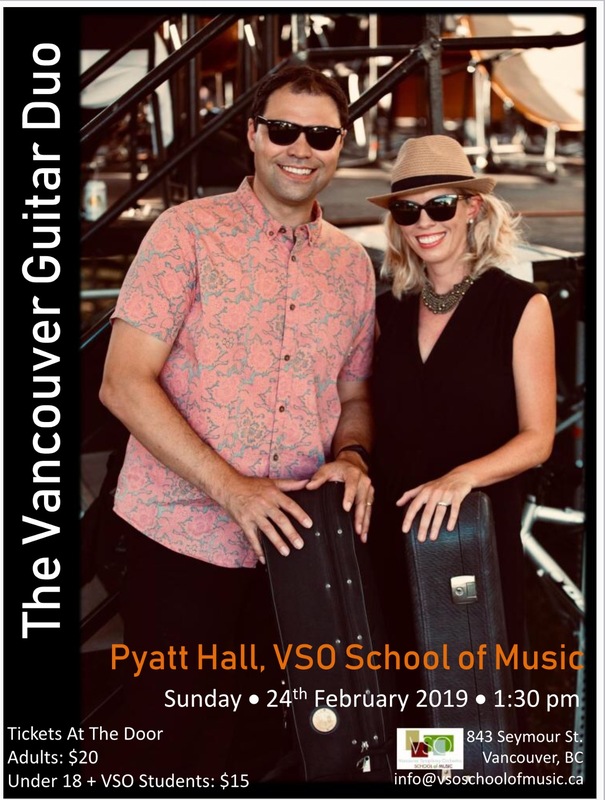 VANCOUVER GUITAR DUO performs at the VSO Sunset at the Beach Concert! The VSO kicks off it’s 100th year anniversary by offering a free concert at Vancouver’s Sunset Beach. 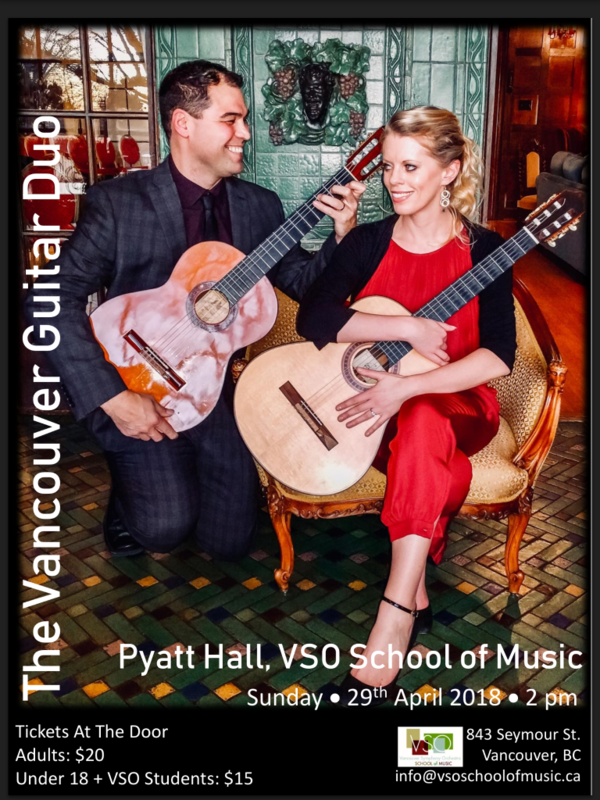 There will be a pre-concert program performed by the Vancouver Guitar Duo at 7:15 p.m., and a sunset concert performed by the VSO from 8:30 p.m. to 10 p.m. It will include a broad selection of symphonic hits including music by Leonard Bernstein, excerpts from Vivaldi’s Four Seasons and John Williams’ scores to Star Wars. There will be food trucks on site for the event, and the public are encouraged to bring a picnic, a blanket and to make an evening of it at Susnet Beach Park. Concert-goers are asked to bring low chairs so as not to obstruct the view of other audience members. 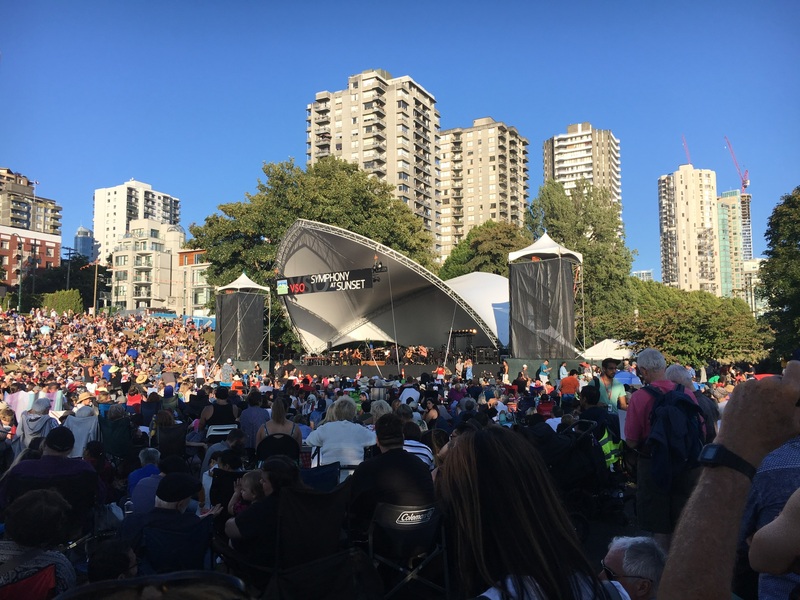 This will be the first free outdoor VSO concert in VancouveR since 2011, when the VSO played in Stanley Park for the 125th Anniversary of the city. 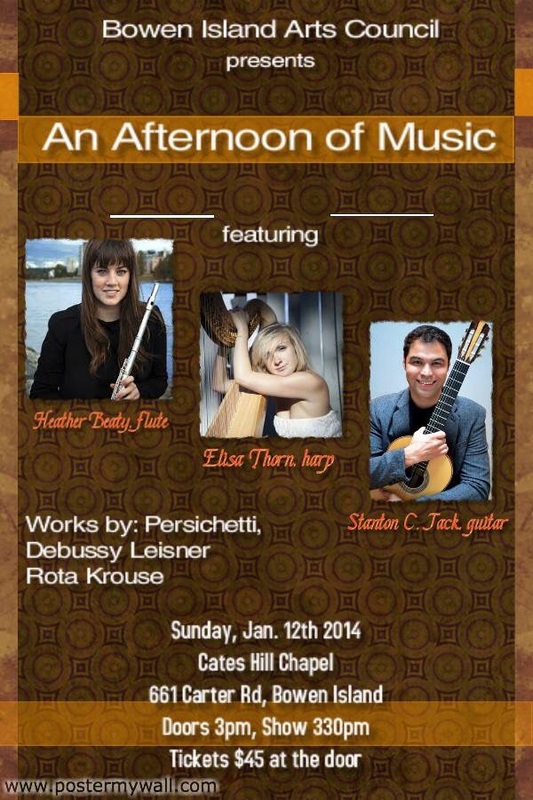 Erato’s new solo series kicks off Sunday, February 25th with an intimate recital of guitar music by Stanton Jack. 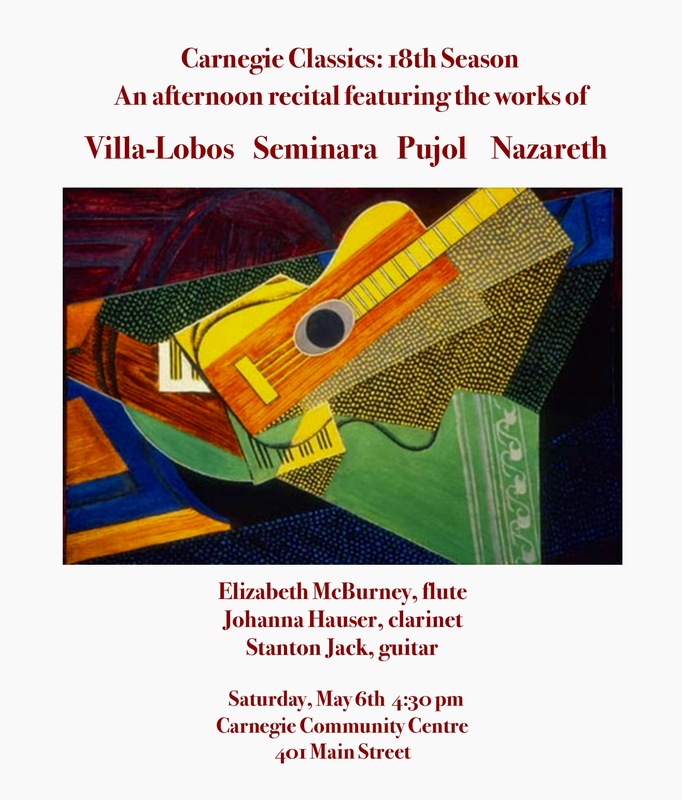 Listen to the music of Albeniz, Barrios, Merlin, Federico Moreno-Torroba, and Canadian composer Jason Noble, in the intimate space at the Canadian Music Centre. Limited seating, so arrive early. Love is in the air and the place to be this Valentine’s Day is at The University Women’s Club of Vancouver! 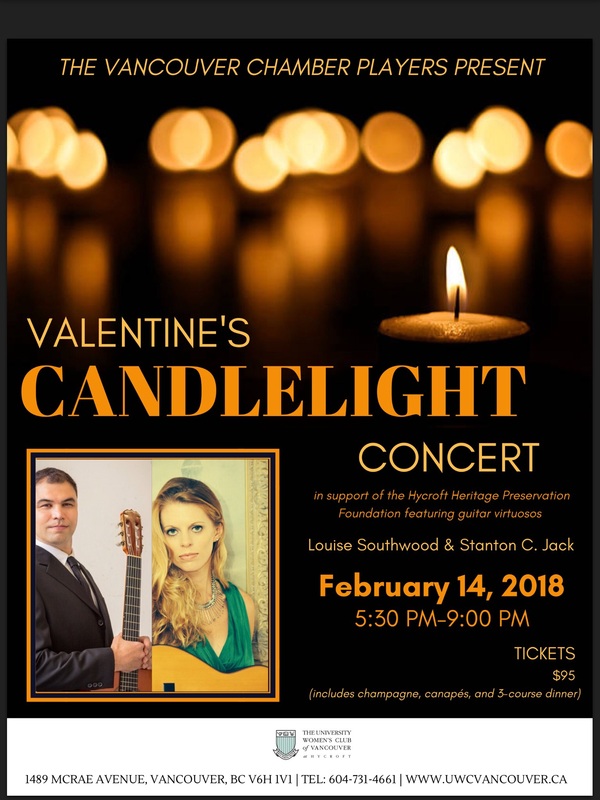 Treat yourself and a loved one to an intimate evening concert at Hycroft with classical guitar virtuosos, Louise Southwood and Stanton C. Jack followed by a delectable 3-course dinner. 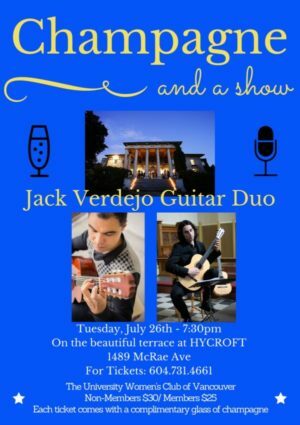 This performance is the first of a three-part candlelight concert series presented by the Vancouver Chamber Players in support of the Hycroft Heritage Preservation Foundation. 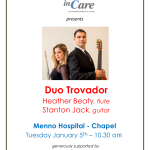 Tickets include a pre-show glass of champagne, canapés, concert, and 3-course dinner. 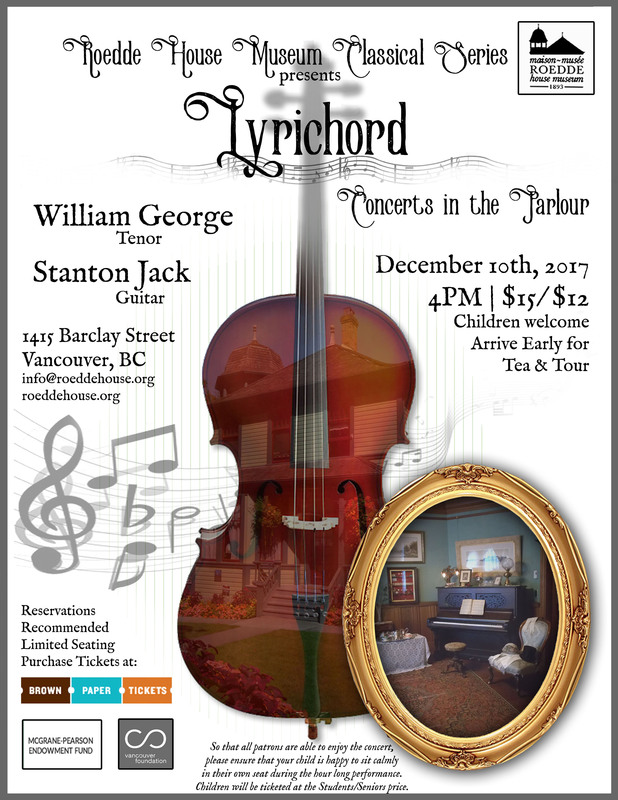 On December 10, join us for a concert with William George, tenor and Stanton Jack, guitar. 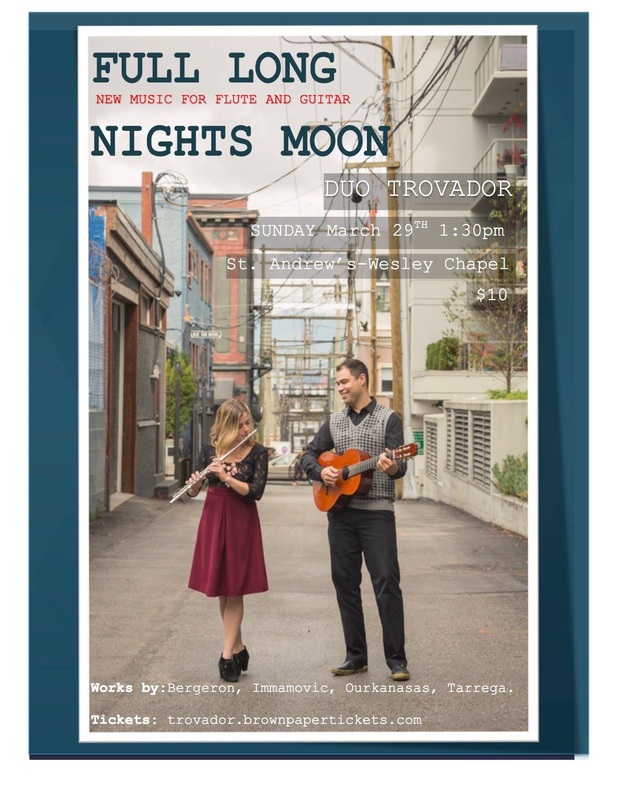 With music inspired by the poetry of such luminaries as Rumi, Rilke, and Shakespeare by composers from Vancouver and all points on the map, Lyrichord presents a well-traveled program which will surely please every musical palate. 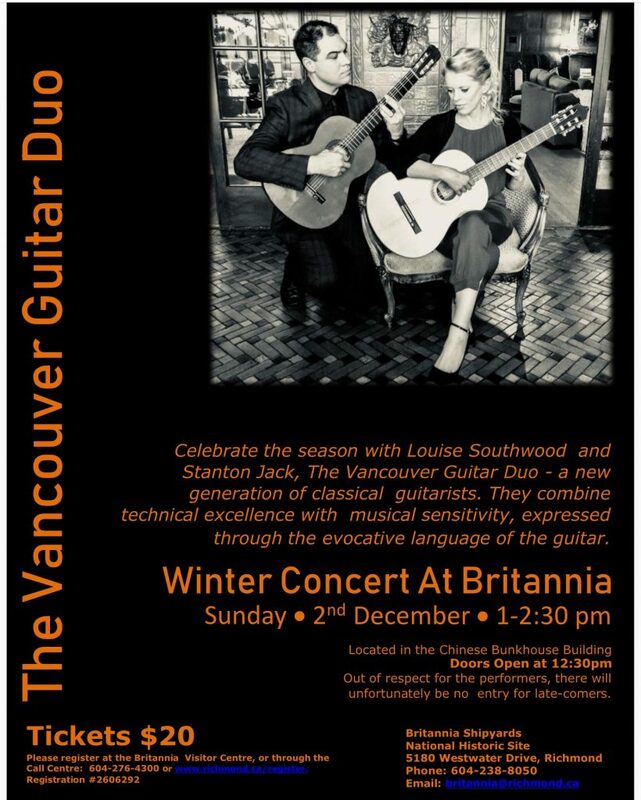 – Celebrate the winter season with Louise Southwood and Stanton Jack, a new generation of classical guitarists who combine technical excellence with musical sensitivity. Redshift Music Society is creating another of their famous Vertical Orchestra events; this time it’s electric! 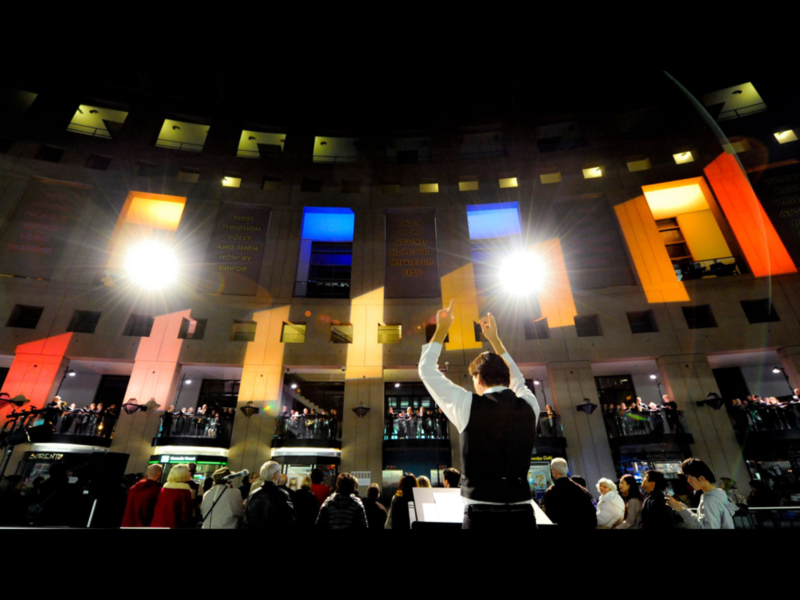 Vertical Orchestra 2017: 21st Century Guitars, is a dynamic spatial event which features an army of electric guitarists and bass guitarists performing in the atrium of the downtown branch of the Vancouver Public Library (350 West Georgia). 21st Century Guitars continues the tradition of Redshift’s Vertical Orchestra events in the Vancouver Public Library: musicians are dispersed throughout the gallery’s seven levels (including the “moat” below the library main entrance), performing site-specific music written by Canadian composers. Critically praised as “immensely enjoyable and equally unusual concert experience” (Georgia Straight), Vertical Orchestra events have been featured as part of the 2008, 2009, and 2010 Cultural Olympiads, enjoying capacity crowds and serving as a vital means of connecting Canadian music with thousands of people who would not otherwise seek out a concert of classical music. 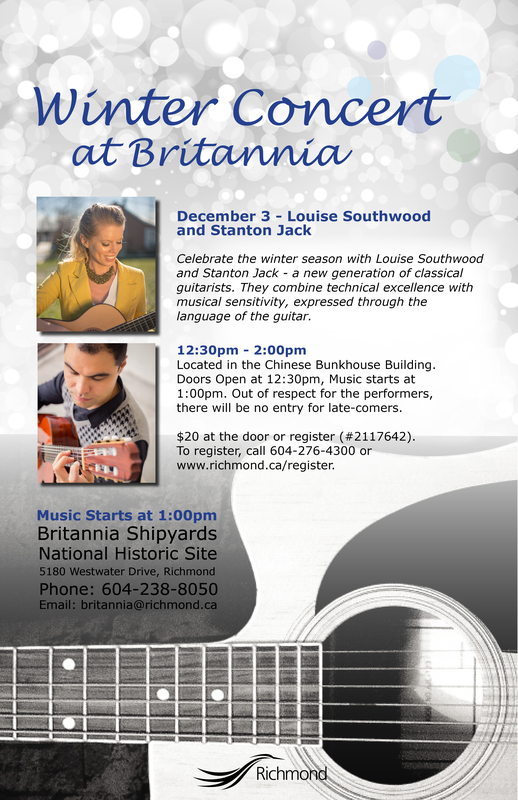 21st Century Guitars announces Redshift’s return to the VPL atrium after a six year hiatus. 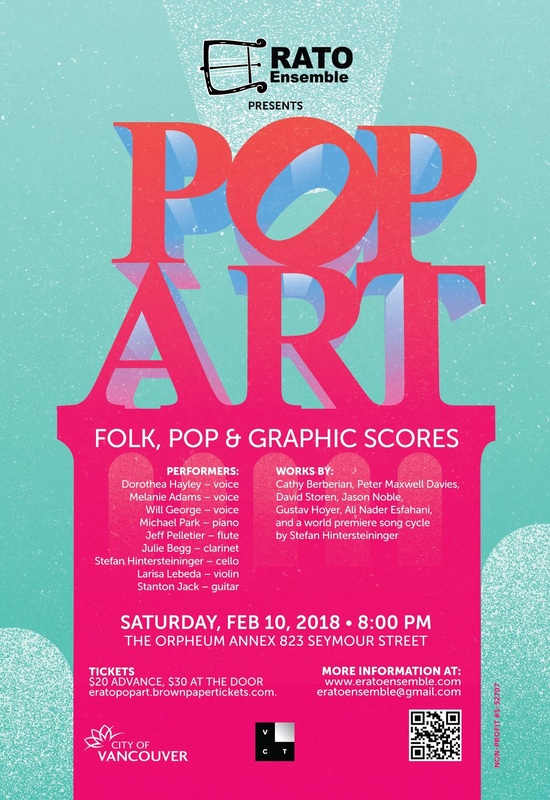 A team of seven award-winning Canadian composers will create new compositions for multiple guitar ensemble for this unique concert event. 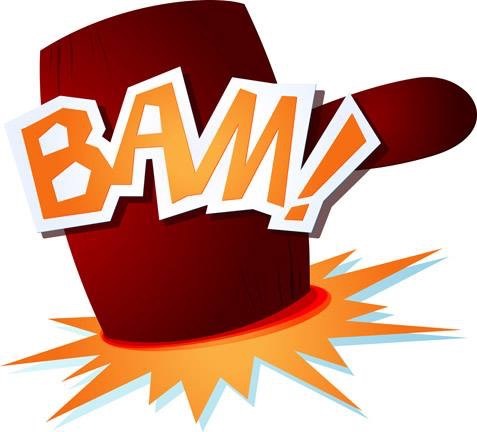 The composers are Tim Brady, James Beckwith Maxwell, Lisa Cay Miller, Jordan Nobles, Benton Roark, Alfredo Santa Ana, and Rita Ueda. Presented as part of ISCM World New Music Days 2017. 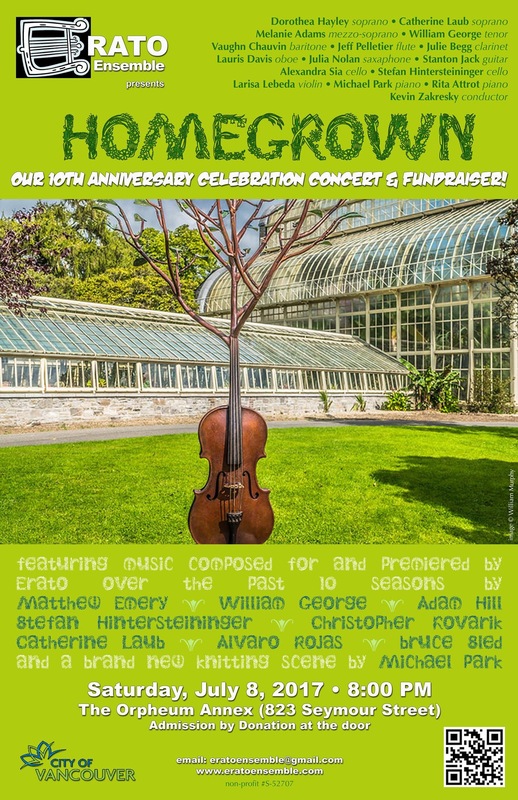 Erato Ensemble celebrates 10 seasons of music-making with a concert of Homegrown compositions composed and premiered by Erato since 2007! 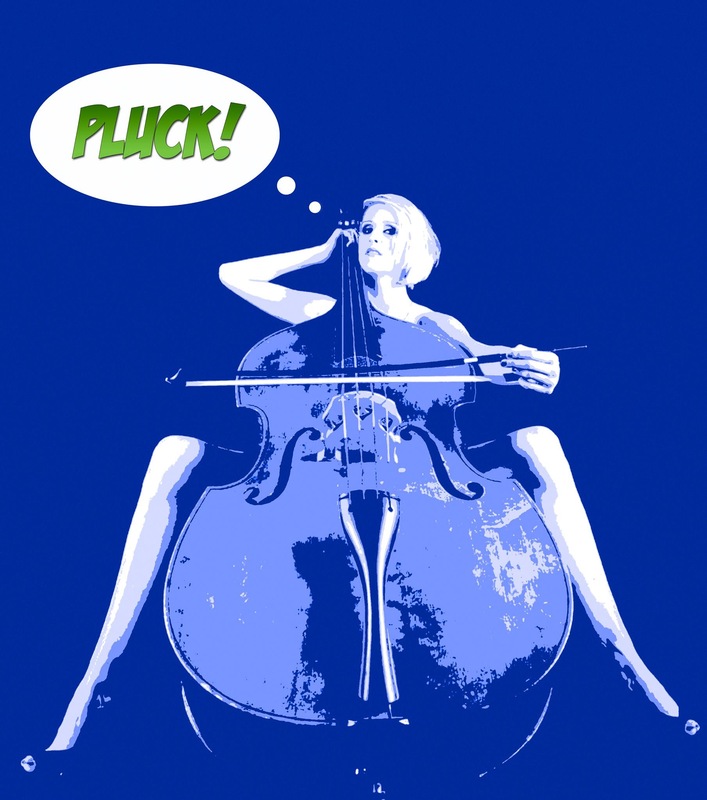 Since its inception in 2006, Erato Ensemble has premiered over 75 new works, most by Vancouver-based composers. 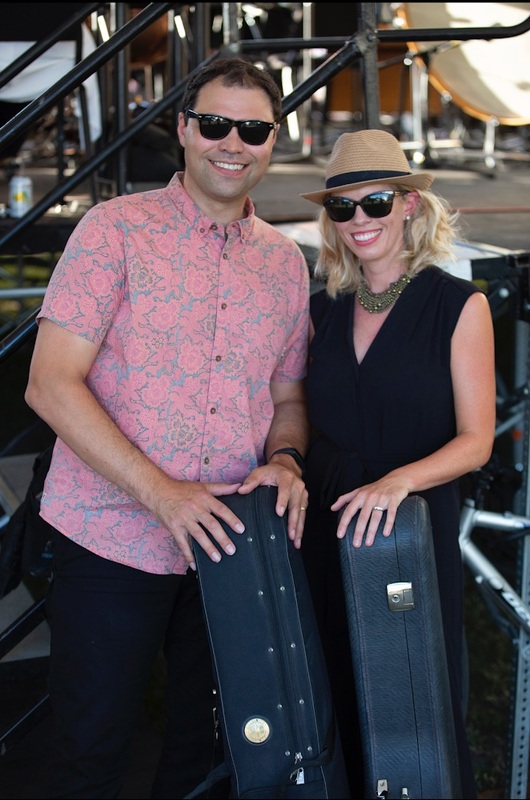 On July 8 they will celebrate this city’s diverse and exceptional talent by revisiting some of their favourite works composed specially for them. 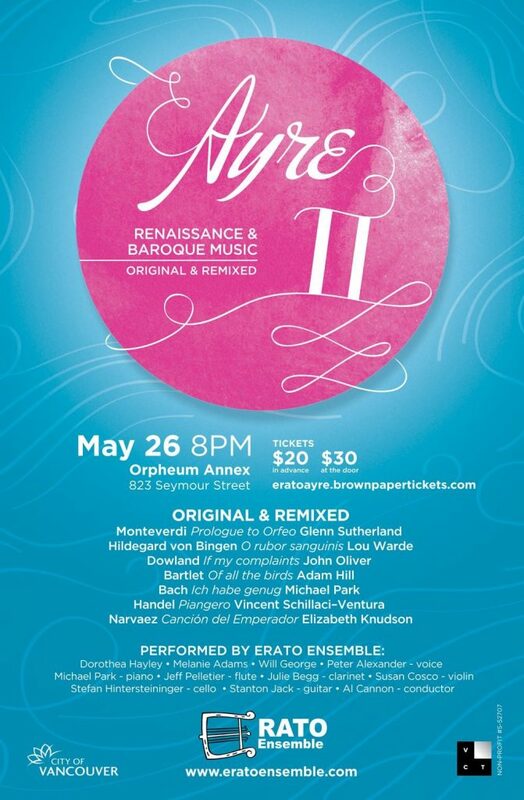 In addition to the encore performances, Erato will premiere a brand new work by Michael Park. The Knitting Club involves not only the entire ensemble, but the audience as well! Listeners are invited to bring their knitting and join in the celebration as the piece unfolds. There will also be an opportunity to purchase items knitted by Erato’s own avid knitting musicians! Don’t know how to knit? Come early for a pre-show knitting lesson! Homegrown also serves as a fundraiser for Erato’s 2017-18 season. Tickets will be by donation at the door. 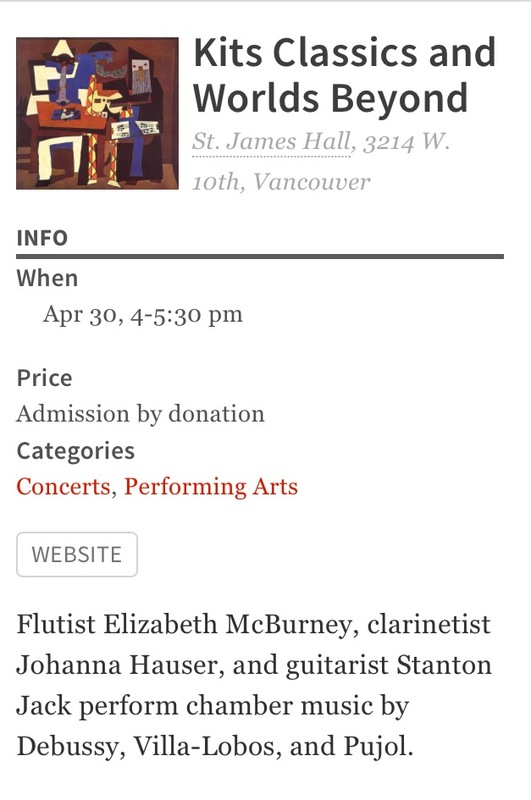 Help us put the FUN in fundraiser – pay what you can and party with us as we celebrate our anniversary and honour Vancouver’s talented composers and musicians. If you want to be sure to get a seat, you may donate online at the link below (suggested donation $20). Drinks will be available at the cash bar. Canada is a maritime nation, with the longest coastline in the world bordering three oceans. Each day that we are alive, we literally live and breathe the ocean. It doesn’t matter where you live or what you do. If you are presently alive on the planet Earth, your life is inextricably intertwined with the ocean. 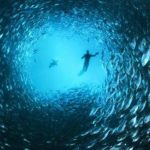 That’s why Living Oceans Society is working to ensure a healthy ocean by protecting the four pillars of ocean ecosystems: habitat, biodiversity, food webs, and water quality. Erato is proud to partner with Living Oceans Society on this program of music inspired by the Sea. 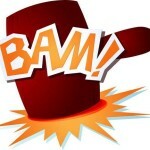 Hycroft Manor 1489 McRae Ave.
Erato Ensemble presents: BAM! 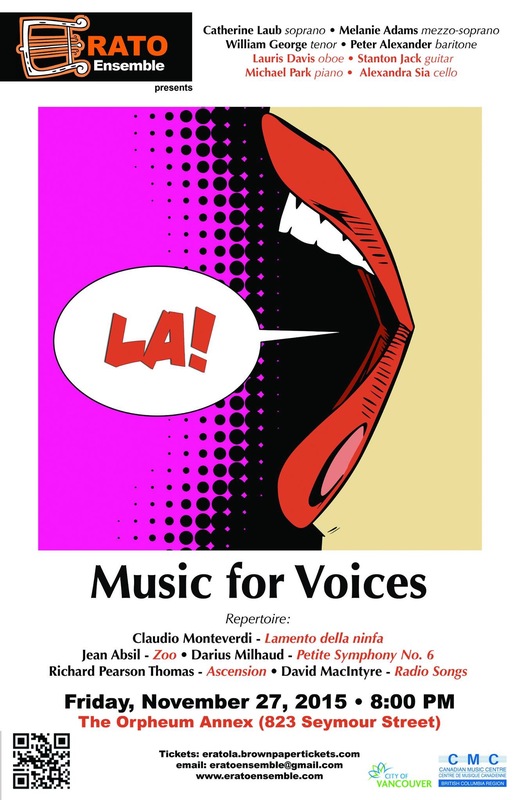 Music for voices and percussion. The Orpheum Annex 823 Seymour St.
Place de Arts, Coquitlam B.C. 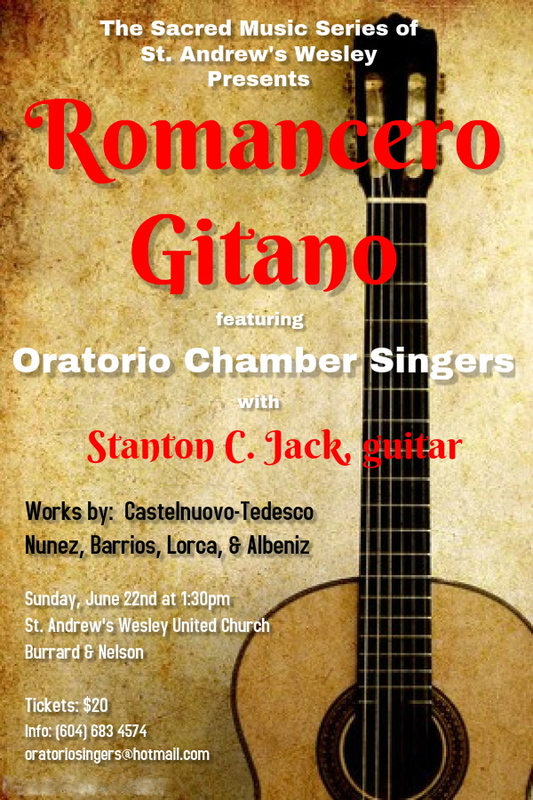 Dowland, Villa-Lobos, and new works for guitar and voice. October 8, 3pm. Duo Trovador. Bradley Centre, Chilliwack, BC. October 8, 1:30pm. Duo Trovador. Heritage Village Sardis. Chilliwack, BC. October 8, 10:30am. Duo Trovador. Cottage and Worthington Pavillion, Abbotsford, BC. October 7, 1:15pm. Duo Trovador. The Residence in Mission. Mission, BC. October 7, 10:30am. Duo Trovador. Menno Hospital, Abbotsford BC. October 6, 2:30pm. Duo Trovador. Brock Fahrni Pavillion, Vancouver General Hospital. 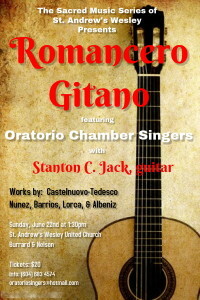 Stanton C. Jack, guitar & St. Andrews Wesley Choir. poems of Federico Garcia Lorca. St. Andrews Wesley United Church, Burrard & Nelson. Capilano University, 2055 Purcell Way. North Vancouver. 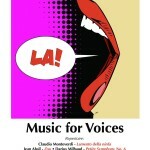 collaborate to perform an excellent selection of 20th century music. Cates Hill Chapel, 661 Carter Road, Bowen Island. featuring Adrian Verdejo, Stanton C. Jack, and Mason Razavi. 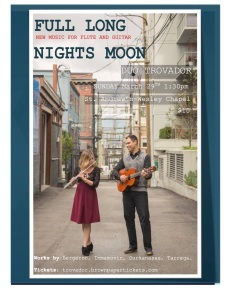 An evening of flute and guitar duets featuring music from Latin America. 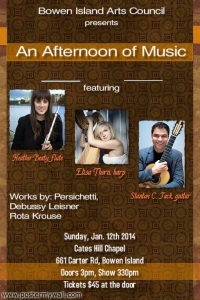 Original works and arrangements by Piazzolla, Machado, Montana, and many more. 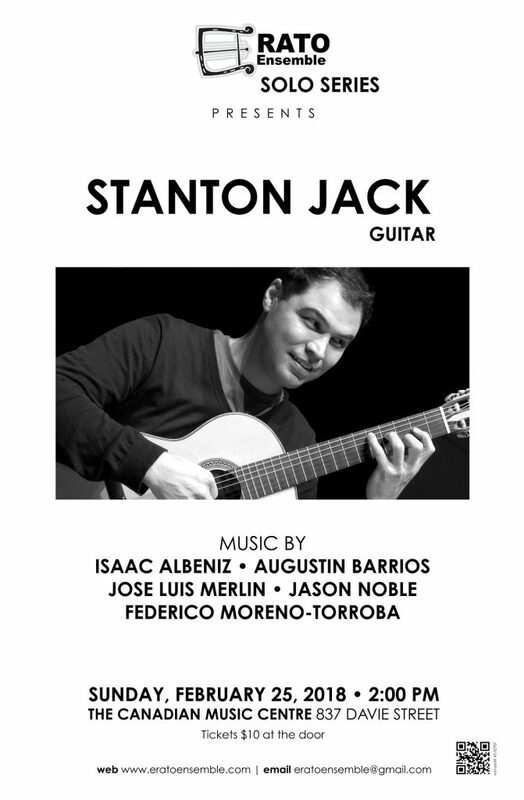 Stanton C. Jack’s School of Guitar presents an afternoon recital with music performed by his student ensembles, guitar and flute duets by Duo Romantico, and solo works from his new CD. For tickets please call 778-868-9020 or purchase at the door. Stanton C. Jack and Shannon Rowe in collaboration with Culture Babes present, Duo Romantico. 20th Century music from Spain, Colombia, Brazil, and Mexico.